The rich history and stunning beauty of the Balkans will be sights you will never forget. Here we list our Escorted Coach Tours, which are guaranteed departure public tours of up to 40 people. There is no minimum number of passengers, so solo travellers can join any of our Escorted Coach Tours. Small Group Tours, escorted tours with less than 25 people. Island Hopper Tours, which are independent tours that can start any day of the week. You can travel alone, or with your own group of family and friends. Guided Active tours such as guided Hiking or Biking Tours or Bike and Boat Cycling & E-bike Cruises. 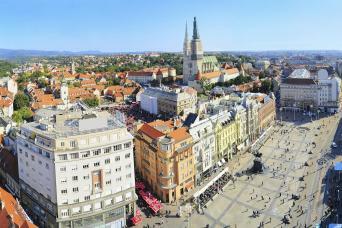 Self-Drive tours in Croatia, Slovenia and surrounding countries.